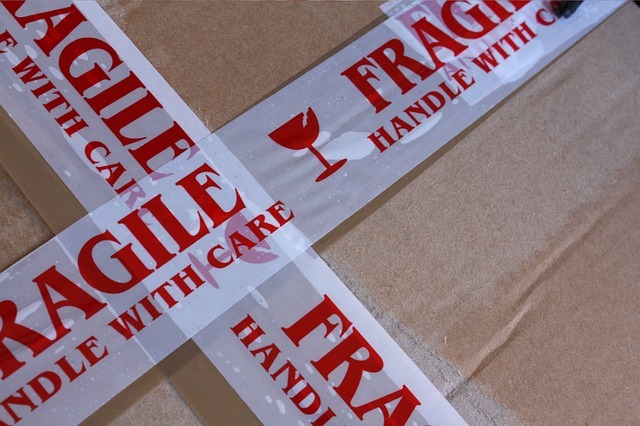 Whether the products you’re shipping needs to be protected or you just wish to astonish the subscribers, the knowledge of packaging materials might come in handy. There are different types of materials available to subscription box masters. Most are customizable, which is nice for number of reasons. Basically, the more things are customizable, the better you will be able to brand everything and adjust the look accordingly (both inside and out). Most of the packaging materials can be found in various colors, but some of them can even be custom printed to suit your needs. Also, never underestimate the power of using box separators to create some order and harmony in your subscription boxes. Later on, we will cover this topic in detail – stay calm and keep on reading. Why does the material matter? 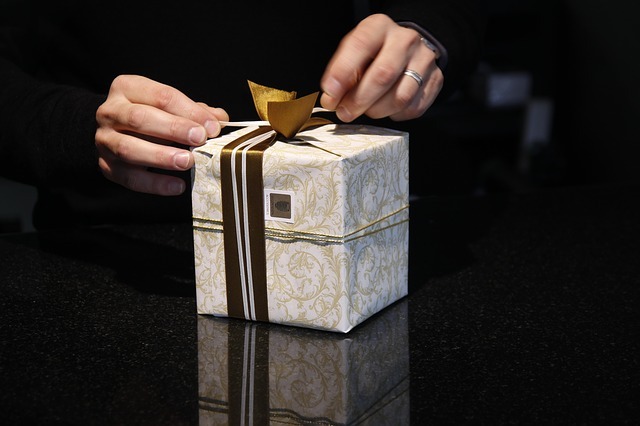 Think of the packaging material as a mystery dish under the shiny surface. The waiter is slowly approaching your table, the aromas of other people’s meals are confusing your senses and you wonder, what lies below that cover? Is it a lovely lasagna or a plate of snails, snakes, and bugs? Now imagine a nice looking box, it even smells like something as exciting and amazing, worth your time and effort of unwrapping it all. The upper design is so pretty you could place a box anywhere inside your home without any shame. You slowly open the box, peeking through the gap as it’s revealing the insides and *BAM! * An ugly, confusing, messy, and cheap-looking package hits you like a hammer. If the packaging material has absolutely nothing to do with the rest of box’s design and appearance, that is not a good sign. If it looks like (or even worse, is) the cheapest possible option, again, that’s not a good sign. But today, we will ensure this doesn’t happen – our goal is to teach you which packaging materials for subscription boxes exist, as they directly influence the unboxing experience of your subscribers. From plastic to paper and back, it’s time to unravel the packaging materials in all their glory! There are four main types of materials, or should we say, the most common types of packaging for subscription boxes. It is not so common to use them combined, but who knows, if you’re able to find a visually appealing way to do so, by all means go ahead (and send us a photo). The queen (or the king) of all protective, but also anti-stress materials, the bubble wrap is our number one option on this list. It is excellent for fragile, easily breakable products of any kind, as you can also tape the bubble wrap to secure everything even better. You can get it in different sizes, which is convenient as well. The downside is that it takes time to apply this kind of package, to measure it, cut it, etc. Time is money and money is nice, so losing time on packing is not welcome. And another flaw of our bubbly friend is that it wouldn’t fit into the box design, even if it is a rather luxurious and elegant one. Also, it doesn’t fit into an eco-friendly businesses (too much plastic for your green-is-in box, sorry). When it comes to the price, the cost depends on the width, length, and bubble size, but in general it is around 20$ for 12’’ x 200 ft long. Wild guess is that you would need a lot of it for your boxes. Keep in mind that the price can go down if you order in bulk. The downsides: not very kind on your time efficiency, looks rather cheap if combined with a luxury box design, and not eco-friendly. If the bubble wrap is the king of packaging materials for fragile items, the packing peanuts are the tiny, but diligent army. They are generally light, easily distributed evenly across the box and in between the products. Also, their price will make you smile – 7’ cubic bags can be bought for as little as $15 per bag (not bad). There are more than one type of the packing peanuts and the general advice is to use biodegradable ones. Their texture is nicer than those made of foam. They are a bit costlier, but it’s worth the spend, as the color of bio peanuts is neutral – finally, a design-friendly packaging material! Cons of these little ones is they can be difficult to clean up for the customer. 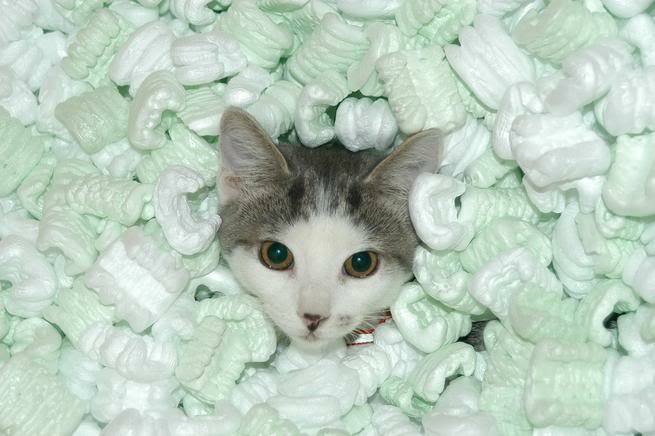 Packing peanuts are also protective of fragile products, and the great thing is they are light and neutral in color. Also, cheap makes us cheer – their cost is super economic. Not to mention that their name is a bit funny and they can be easily arranged around the products. Peanuts are lovely, aren’t they? The only thing that can make you think is that they can be hard to clean up. Maybe you’ll find a way to organize them in such a way and avoid this? Sounds like a special kind of paper and that’s exactly what it is. “Crinkle” shredded paper is an excellent material for your subscription boxes if you wish to create that ‘full’ feeling upon opening. But now, who doesn’t want that? You surely don’t wish for your box to appear as empty. Another good thing is that this paper comes in different colors and can be nicely combined with the overall design of the box. When it comes to money, it is not the cheapest option out there – depending on the weight, but in general, if you buy in a bulk it’s around 70-80$ per box. Bare in mind that it’s a lot of paper you can use in various ways, though. Here’s a free idea: add a custom sticker to make it more brandable, closer to your overall box design and company presentation. The downside is that unlike our first two materials, bubble wrap and peanuts, this one is not suitable for delicate items. Nice looking and available in a multitude of colors, this material can be nicely merged with the design of your subscription box. It also makes it look ‘full’. A bit more expensive, but buying in bulk is worth it. When it comes to fragile products, it is not the best option. Bubble wraps and tiny peanuts win that battle of protectiveness. The last packaging material on our list is tissue paper. Reader, meet tissue paper, tissue paper, meet our awesome reader. Great. This kind of the material keeps the items inside the box well secured, even if you just lay and wrap it over them. It also adds a nice surprise element (and a little bit of surprise is always good) to the unboxing experience. Another positive point goes to this material, as it is rather cheap – with a price around 30$ per package. The drawback is related to time efficiency again (we had that little trouble up with bubble wraps), it can take time to measure and cut it, if the paper isn’t pre-cut. Simple and cheap way to secure the products inside and add a surprise element to your subscription box. Get the custom printed option (a bit more expensive, but lifts up your game) to get the full “wow” effect. 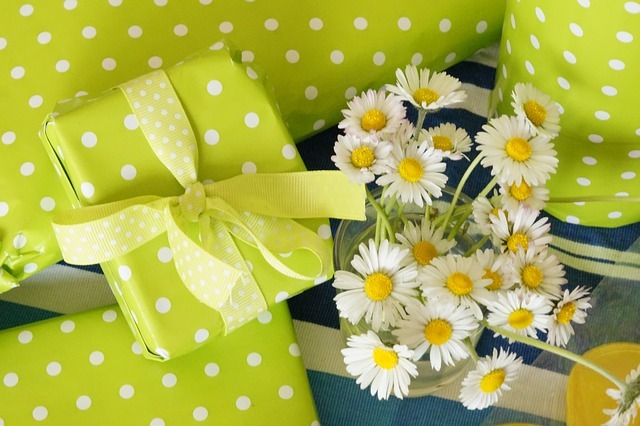 It takes a bit more time to measure and cut it properly, so tissue paper is not a time efficient option, especially if you’re handling huge shipments. Besides the packaging materials we covered, surely there are other, more creative options to keep your products safe and sound inside the box. These are merely suggestions, feel free to expand this list further on. Additionally, try blending your company’s branding and design with inner packaging, to use the best of that potential marketing tool. Are you sending clothes or accessories such as scarves to your subscribers? Consider using the products themselves as a packaging material. But, be careful on this one, not to look cheap, but creative. If the items you’re sending are extremely delicate, like technology products for an example, then try out the possibilities of foam. Seems funny, but if the foam color goes well with the general design of your subscription boxes and if there is a creative way to justify this choice, then definitely – make a subbox foam party (in a way). We admit, we stole this one from tips for house moving packing (hey, it’s packing as well!) – could you use frame protectors maybe? Or even newspaper, if your brand is retro-like or focused on any kind of media. Think about it. Keeping this in mind, think broadly about the various ways to use packaging, but also separators and smart product positioning in your boxes. Sometimes, something as simple as the order of unpacking or a mini-story told in the way you arranged the products inside a box, can completely alter and improve the experience of your subscriber. Think custom separators (wha’?) and similar crazy ideas. Can you use some of the products as separators? 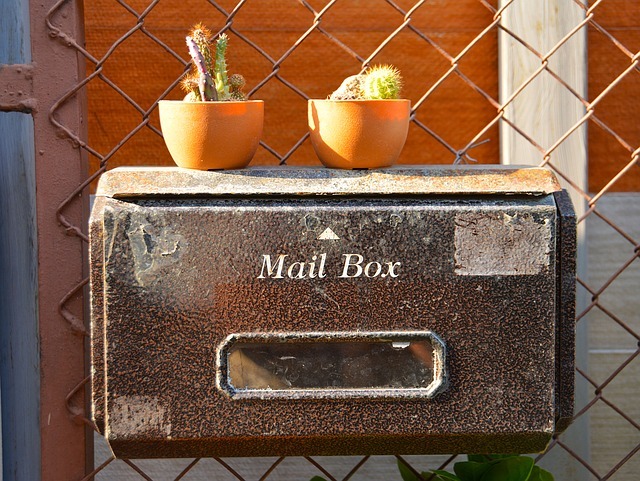 In which way can you add some personality to the interior of your subscription box? Maybe a note from a founder, wishing a nice day? Or a mini surprise hiding below all the products and packaging? The great thing about packaging materials is that you can experiment with them. It’s not too costly to order a smaller quantity and then try out different packaging methods, until you find the perfect combination for your subscription entreprise. Whether you go for bubble wrap, packing peanuts, “Crinkle” paper or any other type of crazy packaging material mentioned here, make sure that it is harmonized with your general design and branding. 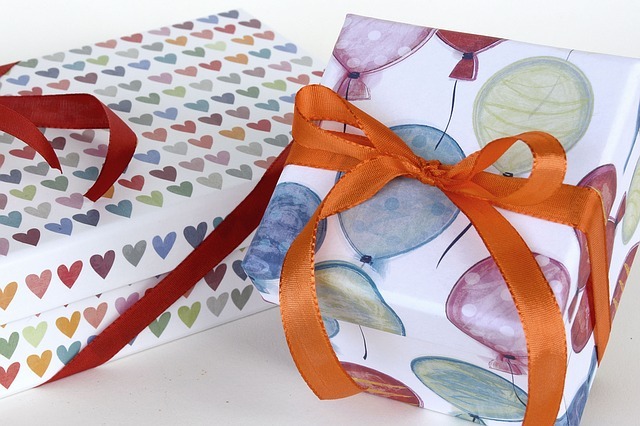 Be kind and share some packaging ideas, there must be some cool ones buzzing in your creative mind! If you have any, share with us!